Making time to exercise when you have young children can be tricky, but it is important for your health and general wellbeing. Since giving birth to my daughter, I have been keen to stay as fit as possible and have been enjoying a mix of walking, interval training on the cross trainer, riding and weights, as well as a weekly mum and baby pilates class. Prior to pregnancy, I had run relatively frequently and completed three half marathons (I have yet to make it through the training for a full marathon… one day, perhaps!). However, I wasn’t running during the early stages of pregnancy and so took a complete break from the activity for a couple of years and swapped it for other sports instead. 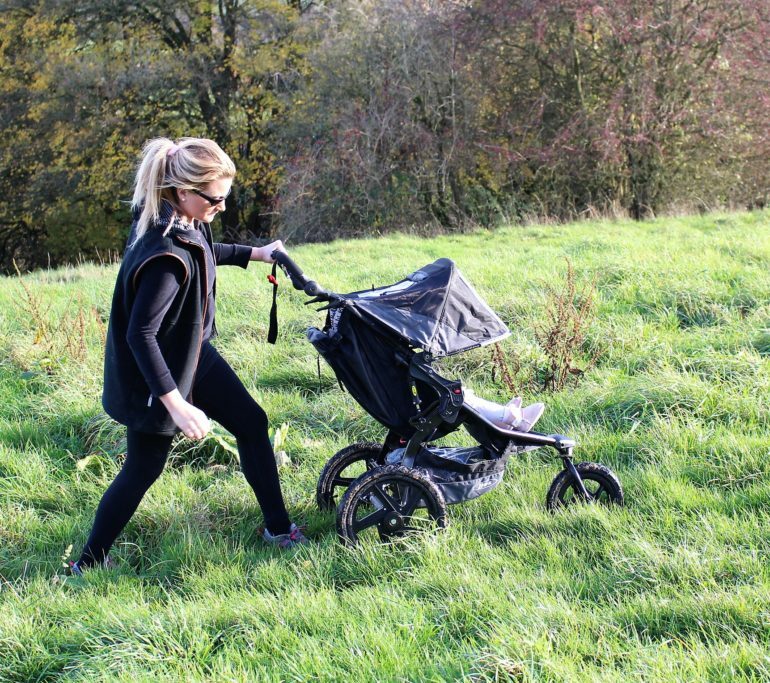 I have recently been tempted back into training and this is partly thanks to the incredible Revolution Pro running pushchair by Britax Römer, who we have partnered with for the Running Mum Diary. Now that I am a mother, I like my exercise time to encompass my daughter (if possible) and especially if it provides the opportunity for us to enjoy the great outdoors together. There really is no exercise quite like running for getting the endorphins going and I have entered a 9 mile cross country race in January 2019 to help with my motivation levels over Christmas. While I won’t be taking part with my daughter – there are lots of stiles to navigate on the course – I am accompanied by her on my training sessions and we are setting off on regular jogs in the build up to the big race. I have tried running with a pram before and without much success. 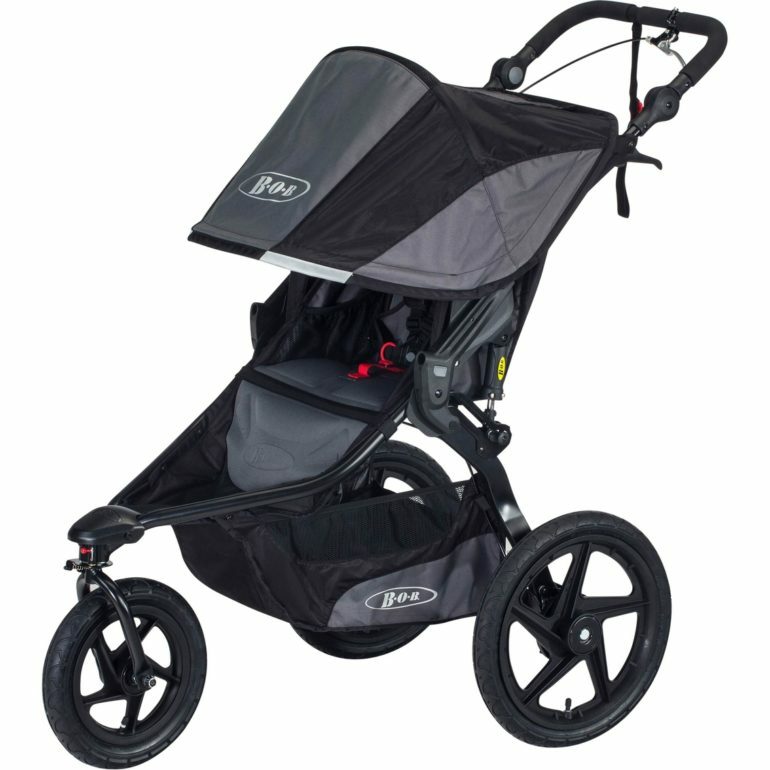 However, the Britax Römer Revolution Pro is a running pushchair that makes the whole experience as easy as possible. I have been very impressed with all the Britax products that I have come across and the Britax Römer Revolution Pro certainly doesn’t disappoint. The three wheels are substantial in size, which means they can easily tackle all types of terrain. In fact, this is crucial for a running pushchair and you should disregard any product with four wheels. The front wheel is key for giving my daughter a smooth ride. It is big and you can also put it on a sports mode setting. This locks the wheel in place, which helps you power across bumpy paths, sloping fields or muddy puddles. 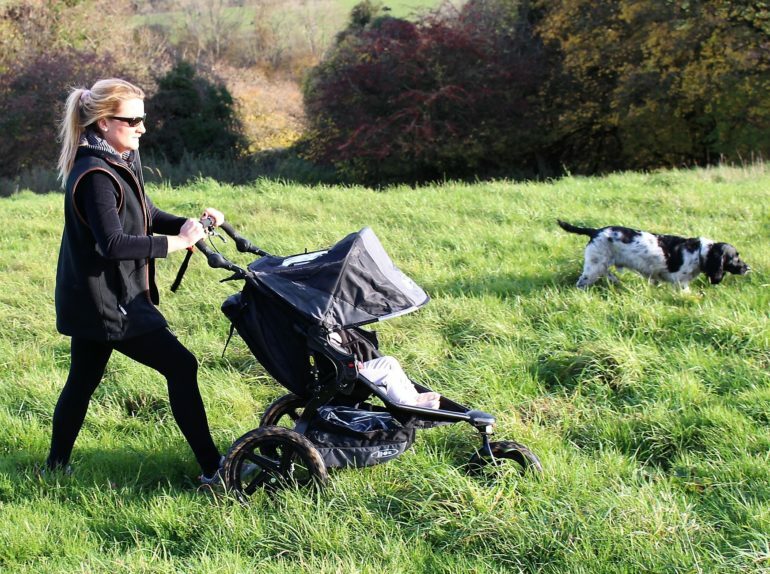 I have taken this running pushchair through challenging countryside and so far it has coped with absolutely everything! Britax Römer have considered it all when designing this product. The handle bar has multiple different settings and you can adjust its height easily while running. This is very helpful if you are tackling steep hills (I prefer a low setting for this situation). You can guide this running pushchair one handed or with two hands and the grips are perfectly placed for both options. There is also a safety strap to attach this running pushchair to your wrists, as well as a brake to help slow your momentum on a descending gradient. The hood has several settings and it comes down far enough to stop the low winter sun from dazzling my daughter. The all-weather cover turns the Revolution Pro into a warm nest so you can train come rain or shine. The seat is spacious and it will easily last until the recommended age of three years (you can start using it from 6 months onwards). When I first started running again I was surprised by my general level of fitness. Throughout the summer I have been using my cross trainer and following a HIIT session on YouTube. Although the workout is only 20 minutes long, it has really helped from a cardio perspective and I would definitely recommend trying this workout either before you begin running or as a supplementary training session. My approach to running as a mum is very different to before and my goal is simply to complete the cross-country race in January. I will be writing a diary about the whole experience over the coming weeks, so stayed tuned to The Sloaney if you want to join the fitness journey!